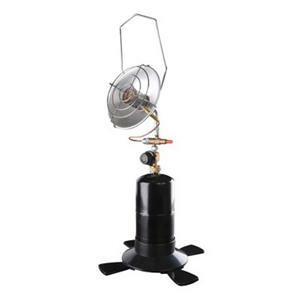 Portable Outdoor Propane Infrared radiant heater. Comes with a plastic base. 3- step control setting. Up to 3,100 BTU's.